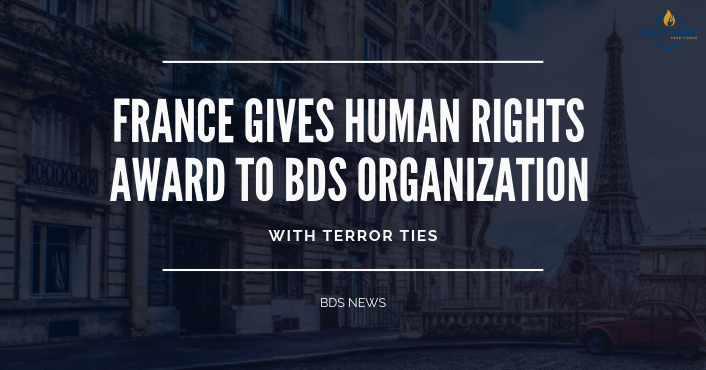 France granted a human rights prize to Al-Haq, a leader in the anti-Israel lawfare and boycott efforts with ties to the terrorist group the Popular Front to Liberate Palestine (PFLP), and Israeli NGO B’Tselem, which advocates for Palestinians’ human rights. The two organizations are sharing one of five Human Rights Awards of the French Republic. France’s Justice Minister Nicole Belloubet will present the awards at a ceremony in Paris on December 10. Al-Haq says it documents “violations of the individual and collective rights of Palestinians in the Occupied Palestinian Territories,” and brings that documentation before international bodies to hold Israel accountable. Al-Haq is a leading Palestinian organization in the anti-Israel boycott, divestment and sanctions movement, and it has submitted documents to the International Criminal Court against Israel. It has also filed cases meant to disrupt trade with Israel in the Netherlands, Canada and the UK. B’Tselem calls itself “the Israeli information center for human rights in the occupied territories,” and its goal is “to end Israel’s occupation” by documenting what it says are Israeli violations of Palestinians’ human rights. Jabarin said in response that the award is a great honor, and called B’Tselem “partners in our struggle for justice and a better future, without oppression and occupation. Culture Minister Miri Regev said B’Tselem, which she called “a Trojan horse,” should be ashamed at sharing an award with al-Haq.